Often you'll hear flyfishermen boast that they didn't need lessons and that they taught themselves. Of course, anyone can teach themself to cast... and anyone can catch a fish if the fly is in the water. However, some expert tuition will ensure that you achieve the best results and full potential from your tackle. 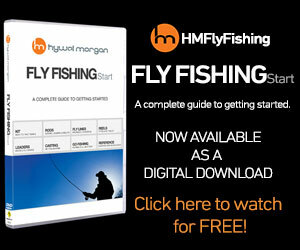 If you are new to fly-fishing it is far better to be shown the correct way rather than to develop bad habits which you must then try to remedy at a later date. You can put yourself on the fast-track to success: I can help you to pick up a great deal of knowledge in a very short time. Whether you are young, old, a total beginner or have had flyfishing experience already, you'll find an option to suit you.